The Cafe is opening every Monday at HBUK, 10.30 a.m. - 12.30 p.m.
It’s an ‘honesty cafe’ which means there is an honesty box for contributions to drinks and snacks. 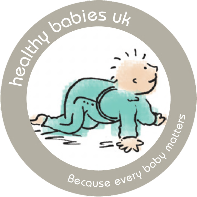 It is run by Breastfeeding Peer Supporters and staff of Healthy Babies UK. Pop in for a cappuccino, a chat and see what’s going on here from weekly events to Services. The Peer Supporters are here to help and support with feeding concerns. A free measuring service for maternity/nursing bras is also available plus breast pump and TENS hire. Why not bring a friend or just pop in whilst you’re in town?